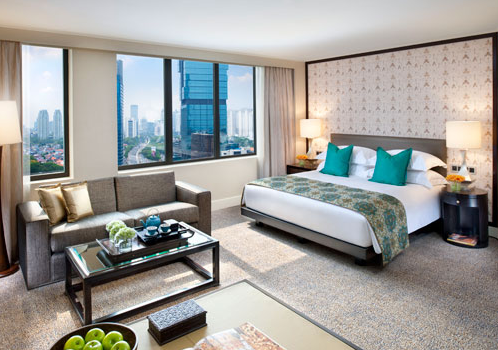 Guests can book any room type at the Mandarin Oriental Jakarta and enjoy complimentary club benefits from now till 30 June, 2010. This promotion comes after the hotel’s extensive renovation and upgrading works, after which it reopened in October 2009. Simply select rooms under the Club Delight Rate category when making a booking on hotel’s website. Rates start from USD160 per night for the Superior Room. Other room types include the Deluxe and the Mandarin Deluxe rooms. If you enjoy a good view, choose from the Deluxe Welcome Monument or Mandarin Welcome Monument rooms. These rooms offer a spectacular view of the busy roundabout where the 1962 Asian Games Welcome Monument sculpture stands. 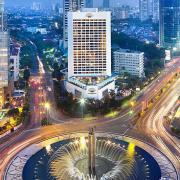 It is particularly impressive in the evenings against the background of Jakarta’s cityscape. The Mandarin Oriental Club benefits include daily breakfast, wireless Internet access, express check-in and check-out, access to the Executive Lounge, evening cocktails, as well as complimentary use of the mini-bar and two pieces of garment pressing per day.